When it comes to depositing real money to start playing online casino games for cash, don’t just throw your money at the first gambling site which comes along – it is imperative you stick with online casinos licensed and regulated by legitimate gambling jurisdictions, like Curacao e-Gaming. We explain more about Curacao eGaming, what this organisation does to protect players and why you should consider playing at casino sites with accreditation from this region. Curacao is a Dutch-Caribbean island well-known for its tropical beaches and stunning coral reefs rich with marine life, but what many don’t know is Curacao is also one of the world’s leading jurisdictions for sourcing an online casino or online gambling license. Curacao eGaming is the authoritative body responsible for issuing online gambling licenses and overseeing the operation and conduct of all its licensed vendors. It has a well-established track record for providing the infrastructure and services required to support the global online gambling industry, while ensuring the future of the e-Gaming industry remains positive and protected. By holding a Master License issued by the Government of Curaçao, Curacao eGaming is able to provide a comprehensive licensing type – the eGaming Licensing Authority to Operators of Services, Software and Services Providers. This all-inclusive license covers all forms of online gambling including online casinos, sports betting, exchanges, lotteries and games of skill and chance. It provides gambling operators with a full service package which covers licensing, consulting and compliance supervision, with additional services like banking assistance, payment processing, DNS hosting and back-office support. What is the purpose of Curacao e-Gaming? The aim of Curacao eGaming is to ensure all gambling operators and service providers who have licensing from Curacao are running in line with a strict set of rules and regulations. This works to preserve the integrity of Curacao as a leading gambling jurisdiction, while ensuring fairness and safety to all online players who use a Curacao certified gambling service. Curacao e-Gaming license holders must adhere to strict anti-fraud measures to ensure the industry is running free from criminal activity, money laundering and the player’s money is protected at all times. Curacao has been servicing the gambling industry since 1996, so the jurisdiction is incredibly well versed when it comes to advanced technologies and changes to the online gaming landscape. In operation for over two decades, Gaming Curacao has earned a reputation for itself as a safe and trustworthy region for conducting responsible gambling operations, providing licensing to some of the leading names in the online casino industry. It is one of the oldest and most politically stable providers of regulated online gambling services. 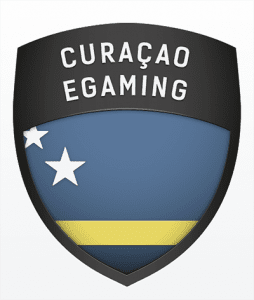 All online gambling operators with a license from Curacao are required to display the official Curacao eGaming license seal (pictured above) to assure players the site is actively operating in compliance with Gaming Curacao’s stringent guidelines. Details about where an online casino or gambling site holds its license can usually be found in the small print at the bottom of the sites homepage. Along the bottom of the homepage you will typically find information about a venues license, the gaming software it uses, the major payment methods offered and any other relevant certification. If you can’t see the Curacao e-Gaming logo there, head to the casinos ‘About Us’ or FAQ section for more information. For details about the license holder, click the Curacao eGaming icon. A separate window will open listing the online casino’s official business name, trading name, trading address, license number and the current status of its license (eg. valid, under review, etc). There is also a button here where you can lodge a complaint against the license holder directly through Gaming Curacao. One thing to remember is if an online casino is legitimately licensed by a reputable gambling jurisdiction like Curacao, it will always proudly display this information. If you can’t find any details about where a casino site is licensed, it’s likely because the venue either has zero licensing or is licensed by an untrustworthy jurisdiction. Does an online casinos jurisdiction matter? Playing at an online casino licensed by a reputable gambling jurisdiction is one of the most important things to consider before you ever hand over any real money to an online casino vendor. Sticking with certified casino sites licensed by jurisdictions like Curacao e-Gaming ensure the casino’s operators are running in line with strict laws and regulations, rather than accidentally trusting your money with some dodgy guy running an online casino out of his garage somewhere. Playing at online casinos licensed by reputable gambling jurisdictions means you can enjoy the peace of mind in knowing you’re gambling in a space governed by local laws, where all games and banking operations must run in line with strict industry standards, and player protection is put at the forefront.